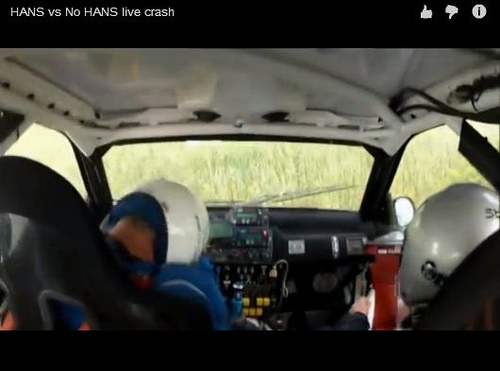 A 30 second video that will probably have you shopping for a HANS device. - Miata Turbo Forum - Boost cars, acquire cats. Awesome short clip demonstrating the difference between your neck in a hans device (co-driver) during a crash and your neck being responsible for supporting your helmet and your head by itself in a crash (driver)... Almost as drastic as that US anti-narcotics "your brain on drugs" campaign back in the 90's. **** me, that is some whiplash. I'll definitely add that to my list of pre-race track gear. I've broken my neck before and I never want to go through that hell again. I recommend these, or a Leatt brace, or some sort of neck brace for any Motorsport. So, do you sell these? PM price. Ready to order. The clip below tells quite a story. The harness, holding his shoulders in place is doing exactly as it was intended to do. However without the proper equipment you can see his neck suffers near or greater than a 90 degree bend! Meanwhile the co-driver is about as comfortable as you could be in a 35-40mph crash. ...and yes.. This is probably only 35-40mph! I can't imagine he'd be lifting his head back up had it been any faster. In response to this I've listed some of the HANS safety equipment on our site. We already had the wholesale relationship, we just never had it listed. I'll be ordering the Sport II for myself this evening - there really isn't a price you can put on your life. Luckily most of our local tracks have decent run-off areas to avoid this type of crash but still... The idea of a crash is usually associated closely with unpredictability. Why I always preach HPDE participants should have/use all the safety equipment road racers have- because it could happen. Bought one!! FAB won't let me spill the price, but it was a decent discount considering these devices are still on-patent and rarely on sale. Any ETA? Thought I'd have it by now. Does it ship directly from HANS? You guys should see tracking shortly! While I'm all for safety... $600 is steep. Agree, I bought one for myself and I might not even have much time to get on the track this season... You just need to ask what you'd pay to un-break your neck if it were to happen..
PM me if you're interested in one. I have a little room to move on pricing. 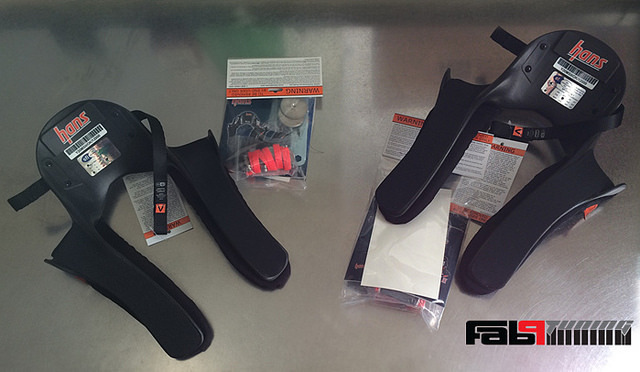 Quick Reply: A 30 second video that will probably have you shopping for a HANS device.